For AED Plus® and AED Pro®. Other Notes: Adult one piece defibrillation and CPR System with compression, depth and rate sensors. 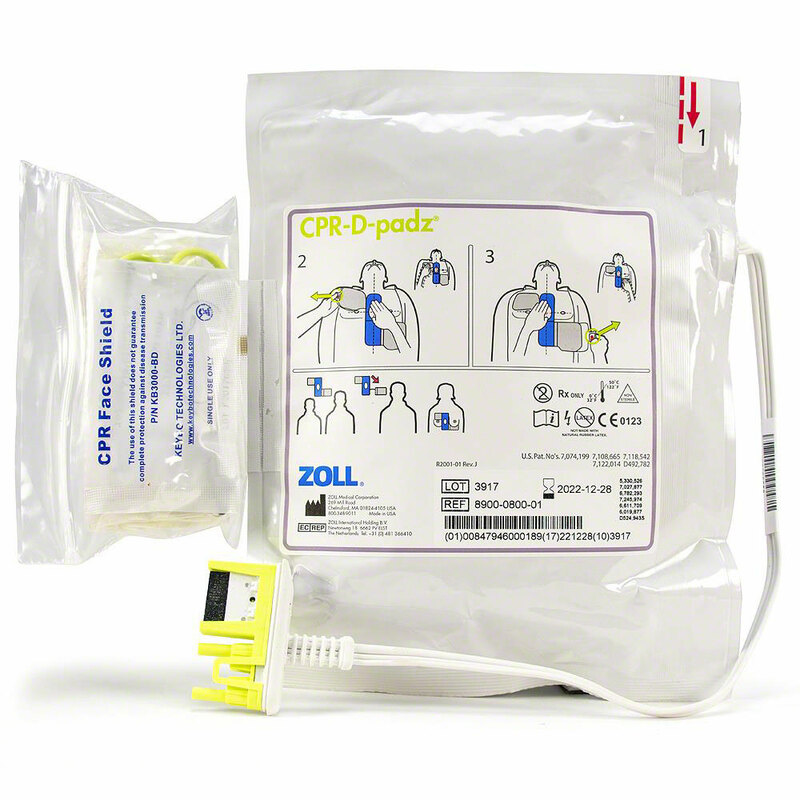 The ZOLL CPR-D-padz® are a one-piece defibrillation and CPR system with compression depth and rate sensors. 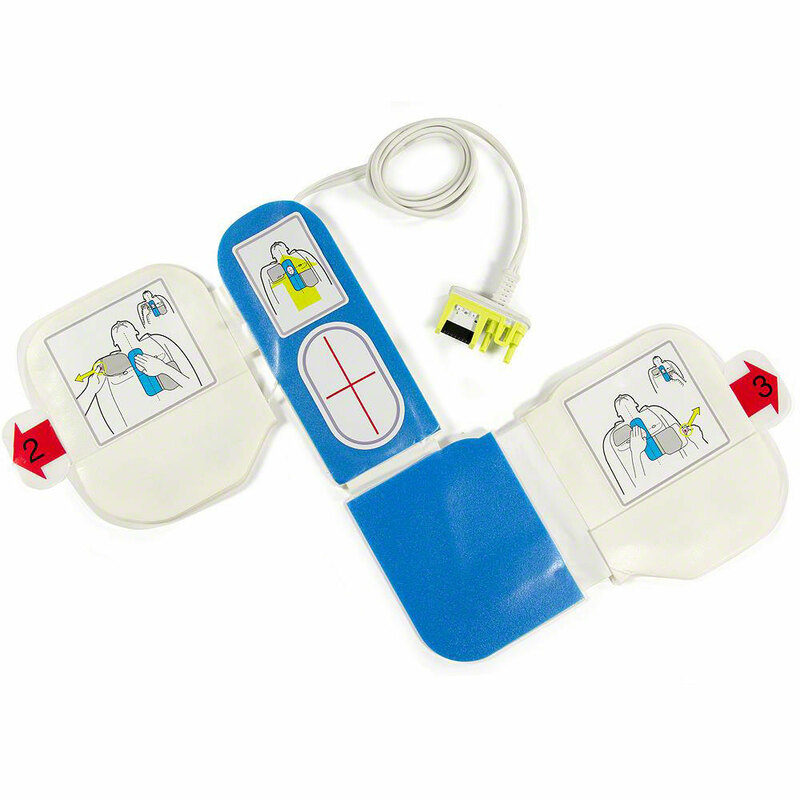 CPR-D-padz are manufactured with a five-year shelf life. In any emergency, it's easy to find yourself feeling panic, confusion, or a number of other symptoms that can make it hard to concentrate, remember your training, and act swiftly and appropriately. To aid in the rescue process and help ensure a proper SCA emergency rescue effort takes place by anyone available, ZOLL created Real CPR Help®. 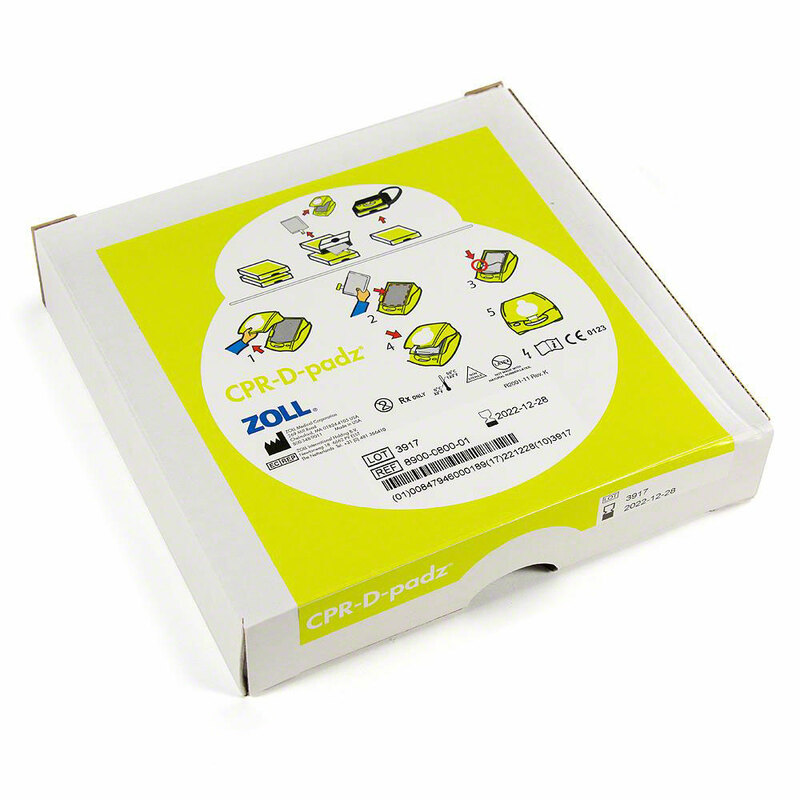 The CPR-D-padz are a one-piece, pre-connected electrode which lasts up to 5 years from the manufacture date - the longest shelf life of any defibrillator electrode. An adaptive metronome helps the rescuer with the proper rate as the unit converts data from the CPR-D-Padz into actionable insights and guidance. Dealing with an SCA emergency is never easy. Every advantage a first responder or rescuer can have to save a life is crucial. ZOLL is making the rescue process simple, accurate, and with a greater chance for success for every responder when using the CPR-D-Padz with Real CPR Help. Cost effective, easy ordering, and free shipping I will use this site again for AED accessories.